Simply the most incredible stay! From start to finish we had the most relaxing and luxorious experience. The room was beautiful, spa stunning, breathtaking views and outstanding service. On arrival we were told our room had been upgraded and it surpassed any expectations. The spa was sleek, modern and just gorgeous. We happily spent hours using the facilities there. We loved walking the gardens and enjoying a drink outside in the wonderful sunshine. The dining experience was delicious - set menu was incredible, could not fault the food and wine at all. We loved the desert buffet especially - so much choice and everything we tried was delicious. I also have to comment on the staff - I have never been to a hotel before with such exceptional service. Nothing is too much for them and everyone we spoke to was kind, polite and helpful. Particular thanks for the reception staff who were the best we've experienced ( and we travel a lot)! We certainly hope to come again! What a wonderful place. Thank you so much to all the team at Solstrand for giving us such an unforgettable stay. Thank you for your feedback and for highlighting the people who work at Solstrand. We appreciate the way you describe your experience. It is nice to hear that our team, the environment, spa and food gave you a relaxing stay. Should your travel plans lead you back to Bergen/Os, we would be more than happy to welcome you back as our guests. We primarily came to Solstrand for the spa experience, that was a bad idea. They were renovating the saunas (which we in all fairness was informed of in advance), but they were renovating during operating hours meaning handymen were running around, drilling and hammering, and this combined with bright work lights isn't exactly what I associate with a spa experience. The steam room, which was the only sauna open due to the renovations, must be built or calibrated completely wrong, my thighs were cold while my head was so warm it was uncomfortable. In addition, the entire spa area (wardrobes, pool area etc.) was incredibly cold, not a place to relax. The dining experience was also underwhelming. They have a set menu, and the waiter brought the starter as we had barely taken a sip of the aperitif, gathered our plates as soon as the last bite was taken, and 40 minutes after sitting down he cleared our main course plates. He also served our table and the table next to us in the same go, providing a bit of an assembly line feeling. And in stead of continuing the set menu for the dessert as well, they served a buffet where they had clearly opted for quantity over quality. Thank you for taking time to give us your review. We are sorry to hear that your stay with us did not meet your expectations. In January we do renovate our saunas to reassure that they will be of top of the line quality as well as more environmental friendly. With respect for our guests, we always strive hard to inform well in advance of arrival about how this might effect their stay. With daily opening hours in the wellness area from 7am to 10pm, unfortunately it was not an option to do renovations outside opening hours. This is why we have assigned specialists who are trained to work among guests to this job. We are sorry for the disturbance you experienced and will definitely take your feedback into consideration for future renovations. We appreciate your comment about the quality of the bathrobes and towels, and further to this a quality check is already in progress. We are sorry to hear that we did not meet your dinner expectations. Our team in the restaurant are trained to find out each individual guests expectations with the aim of adjusting the service accordingly. On Saturdays we can host up to 300 guests and do offer a dessert buffet with a selection of cakes, fruits, desserts and cheese. We are proud to serve local cheese, and especially cheese from the two latest winners of the World Cheese Award - both Norwegian producers. 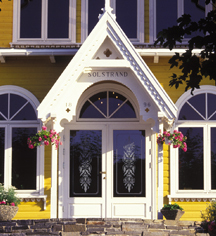 We hope to see you again and would love for you to have a new Solstrand experience. Yes it is a bit pricy but you have not had a proper Norweigan Christmas dinner before you've been to Solstrand. the amount of food is staggering but the qualtiy is what makes it stand out! The hotel rooms are ok but the view is spectacular. Thank you for taking time to give us your review. We are happy to hear that you enjoyed our traditional Norwegian Christmas buffet. We hope to be welcoming you back to Solstrand in the future. Best spa, relax and conferance around Bergen. An hour south of Bergen (bus or car) takes you to the Bjornafjord. The view is spectacular wintertime as well as in the summer. 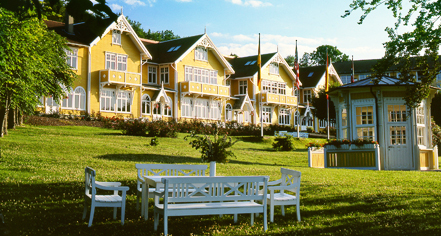 The hotel has great rooms most with views, a fantastic kitchen and a spa with sauna and fjord access a few steps away. This is a little bit away from the railway feeling of Voss but the salty fjord is worth the detour. Thank you so much for giving us this nice review. We appreciate that you highlight the view from Solstrand. The open fjord landscape can create magical pictures all year around. Welcome back to Solstrand! Third stay at this magnificent hotel. Every trip enjoyed every second. Our room top corner had magnificent views. Staff very friendly, Christmas spread delicious and breakfast buffet superb. I only wish we could return more often . We are glad to hear that you have visited Solstrand several times, thank you for taking time to give us a review. We hope to see you again soon.